Show your support for the Panthers with this terrific duffle bag! 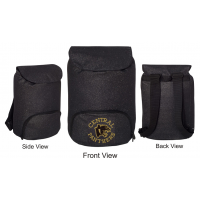 Very sturdy 600 denier nylon bag with black detachable and adjustable shoulder strap. Top and side grip handles, front zippered pocket. 30" x 12 1/2" x 12" bag holds a lot of stuff! Can be personalized with embroidered name for a small extra charge. 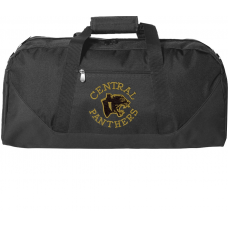 Comes in black with school logo on side. Add some bling to your life with this fantastic backpack! Comes in 60% polyester/40% PPE glitter mes..